Are you on the fence about duct cleaning for your home? Do you find it hard to decide if it’s worth the cost? 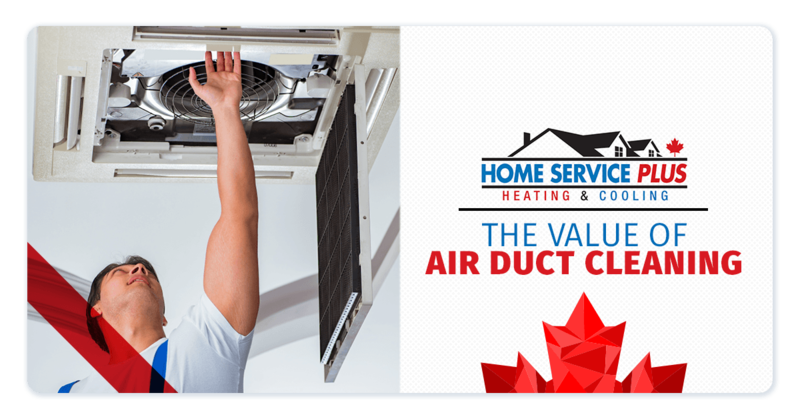 We assure you, the benefits of duct cleaning are numerous, and the value you’ll receive from improved air quality is well worth the cost, especially when you opt for affordable air duct cleaning services from Home Service Plus. 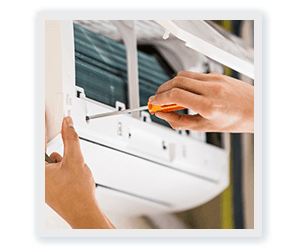 Here at Home Service Plus, we offer competitive rates on our duct cleaning services — most homes are $189 for a full system cleaning — so that you can gain peace of mind that the air in your home is pure. We offer a flat $189 fee for homes up to 1,800 square feet in size, and only $50 extra for every additional 700 square feet for larger homes. Efficient heating and cooling: If you’ve let the cobwebs accumulate in your ductwork, then your ducts are no longer efficient. With dust, debris, hair, and literal cobwebs building up in your ducts, your ductwork can slowly hinder the efficiency of your HVAC systems. Over time, your system will lose its power to pump fresh heated (or cooled) air throughout your home, since the air can become trapped by debris buildup in your ducts. It’s best to keep your ducts free from debris (that rhymed!) so that fresh air flows on through to your vents easily. With dirty ducts, you can expect your HVAC system to work overtime to control the temperature of your home — and that will mean less comfort for you and other residents in your abode, and it will mean a higher energy bill at the end of the month. Plus, you can say goodbye to the palpable fresh air that you ought to enjoy. Better air quality: There’s a reason why HVAC systems are equipped with air filters. These simple, yet effective devices ensure that (most) debris and dust doesn’t make it into your home — just pure, clean air. However, air filters aren’t perfect, and the tiny gaps between the mesh screens still allow for the passage of some particles. That’s why you’ll see dust buildup in your ducts over time. And if your ducts do have built up dust, you’ll notice that the air in your home is stuffy when the heat or AC kick on, instead of fresh and pure. To ensure that your home is constantly filled with pure air, you’ll need to keep an eye on your ductwork, and you’ll need to swap out your air filters regularly. We recommend that you check your air filters once per month to ensure that they aren’t caked up with dirt and debris — if you notice that your filters aren’t clean, and they’re covered with hair, dust, etc., then it’s time to swap them out. Fortunately, filters are somewhat inexpensive, so it’s worth it to keep a spare filter on hand for the next swap. 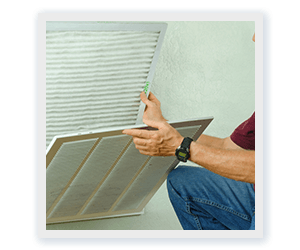 You may have to change your filters every three months or so, or you may have to change them more often if your home is exposed to wind, road pollutants, dust, pollen, or you have animals around the house. Reduced airborne allergens: Speaking of dust, pollen, and animals, all of these can cause allergic reactions for residents. If your home is exposed to dust, pollen, and/or animal dander and hair, then you may notice that your constantly sneezing. It’s important to keep your ducts free from dust, pollen, and animal dander, so that they don’t impact your health. Aside from sneezing, you may also notice that you are constantly coughing, you have itchy eyes, a runny nose, or a tight throat. You may also have skin reactions, including puffy eyelids, or your eyes may be watery. Clean air ducts ensure that your air remains pure, so that you won’t be constantly battling airborne allergens. On top of that, clean ductwork will keep dust mites from proliferating in your HVAC system, reducing the spread of mites throughout your home. These mites can also cause allergic reactions, and that’s just one more reason why clean ducts are a must. Better air circulation: As we mentioned, dust and debris can “gunk up the works” when it comes to your ducts. Clearing out those ducts will aid in improving air circulation throughout your home, which further purifies the air in your abode. Since your home’s walls, ceilings, floors, and fixtures (as well as the various man-made products that you own) are constantly off-gassing chemicals, the air you are breathing can be less than desirable. That’s why it’s essential for your HVAC system to pull in fresh air from outside, even if it’s not heating or cooling that air. A clean air duct system aids air circulation from the environment, pushing out off-gassed chemicals while introducing healthful, fresh air. This is one of the most common questions that we encounter here at Home Service Plus: How often should you clean your air ducts? Well, that answer depends on a few factors. In general, it’s best to clean your air ducts every three years or so, and you should monitor your ducts (by taking a look in various vents throughout your home) more often than that, to ensure that debris doesn’t build up. You may need duct cleaning services more or less often depending on the environment surrounding your home, the amount of residents in your house, whether or not you’re close to a busy street, and whether or not you have pets in and around your home. You may also need to clean out your ducts more often if you’re prone to exposure to airborne allergens, or if you’re in an area that’s populated with allergen-producing flora. Well, we hope that we have convinced you of the value of keeping your air ducts clean. We assure you that regular duct cleaning is well worth the cost. If you’re ready to improve the air quality and HVAC efficiency of your home, we’re here to provide a thorough duct cleaning. Give us a call today to schedule your upcoming service, or feel free to reach out to us if you have any questions concerning surrounding air quality in your home, and your heating and cooling system.